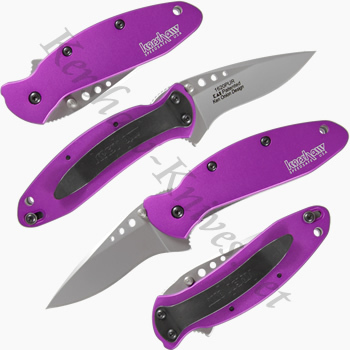 This Kershaw 1620PUR Purple Scallion Knife has a bright purple aluminum handle. 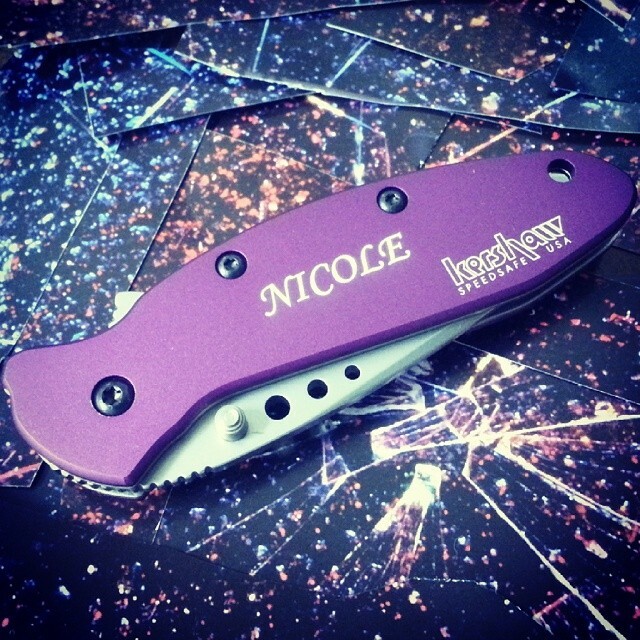 Not only will the knife look great just as it is, but the handle is perfect for adding your name or company logo. The Kershaw 1620PUR is made in the USA and has an assisted opening blade for easy one-handed opening. A liner lock holds the blade open and releases it as well. The knife can be opened using the ambidexdrous thumbstuds or the flipper on the back. Go ahead, impress your friends. 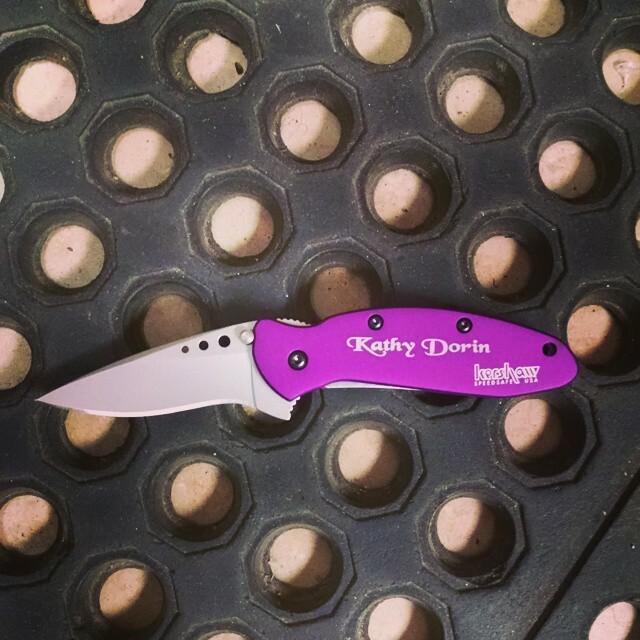 Show them your new edc is the Kershaw Purple Scallion. The three holes on the blade is now phased out, Kershaw has a full silver blade now with no holes on it. That is one difference to our pictures above.